I'm getting a lot a great new recipes from Pinterest. For the most part, most of the recipes I've tried have turned out really well. And with all these great new recipes, I needed a new way to store them. 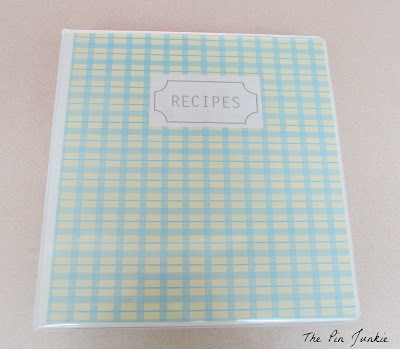 In the past, I've written my recipes on 3x5 cards and stored them in a file box. My file box was getting really full which made it hard to find what I needed. I also didn't want to to redo all my 3x5 cards. I bought four new file boxes at Walmart for $1.00 each. 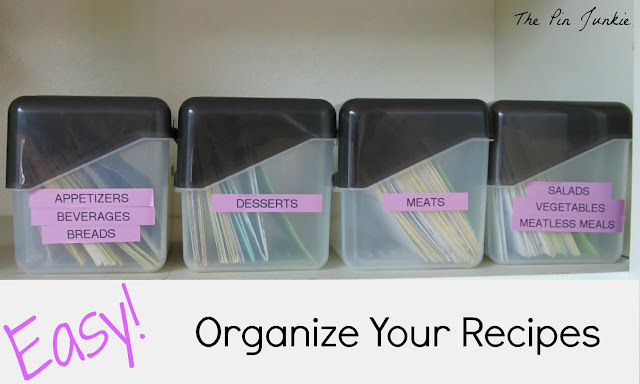 Now I have more room for my 3x5 recipe cards, its easier to find things, and I didn't have spend any time rewriting or retyping any recipes! 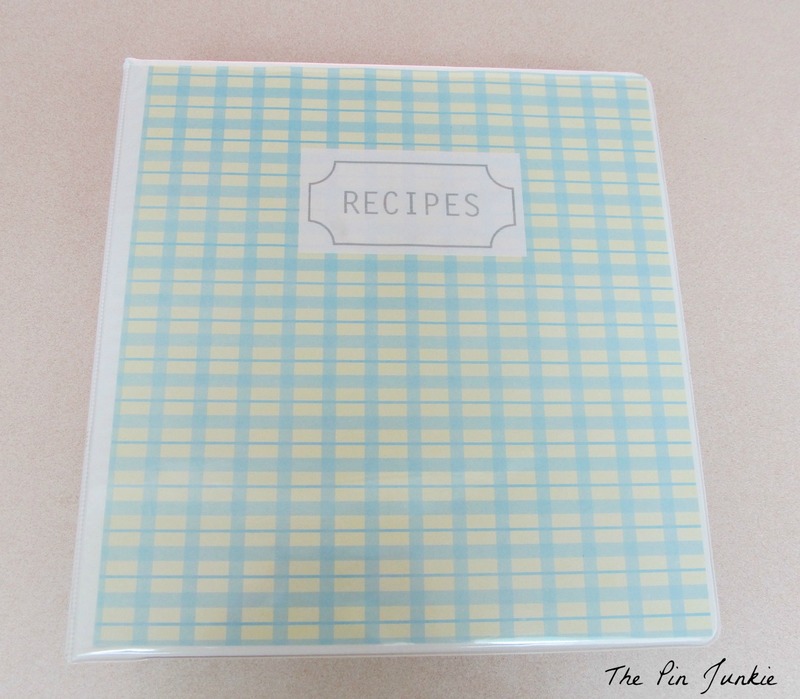 I also started a binder (idea from Pinterest of course) for recipes I find online. 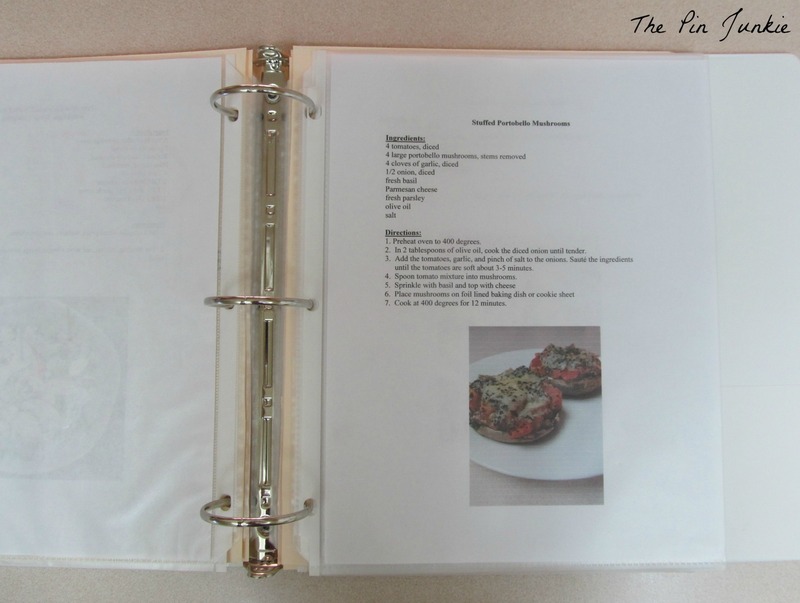 I just print out the recipe, put it in a plastic page protector, and it goes in the binder. Here's a recipe I found on Pinterest for Stuffed Portobello Mushrooms. It was something I liked and plan to make again, so it went in the binder. I still have lots of recipes I've pulled out of magazines that aren't organized. I'm really tempted to just take them all and throw them in the trash rather than spending hours trying to get them organized. That's one of the things I love about Pinterest - you can collect all those recipes without the paper clutter! 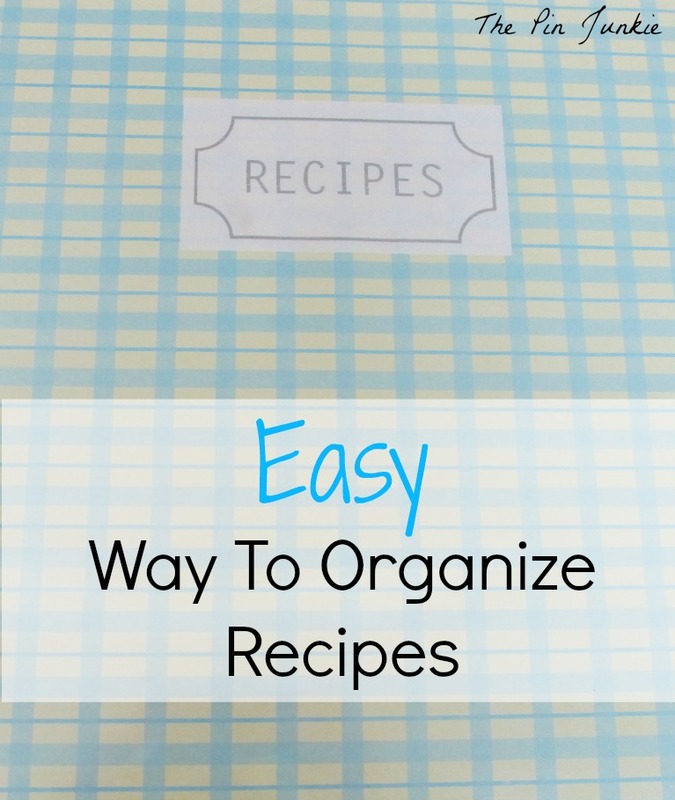 I've also organized the recipes here on my blog! Now you can find a recipe quickly on the the Recipe Index page. Great idea! 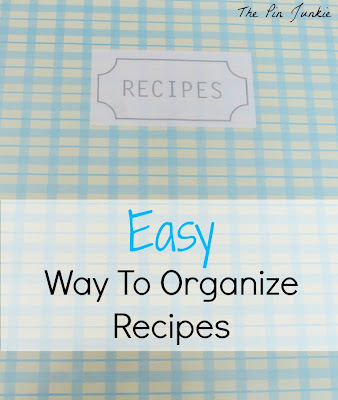 I print off recipes and toss them in a drawer...not ideal at all. I will have to give this a try! I also put mine in a binder. I put the in protective sleeves and I separate the types of dishes with colorful dividers. Me too! I can get lost in Pinterest for hours! Got you from Adorned from above blog hop. I like this! Great idea! Terrific ideas! Something I love about Pinterest is I can make a virtual cookbook, and even put the same recipe in multiple categories -- I can have a french toast dish under both "breakfast" AND "crockpot" and this way I don't miss an easy meal (plus, breakfast for dinner never goes amiss). I'm also stealing your "recipe index" page idea, if you don't mind - I love sharing recipes, but it's also a virtual cookbook for me. I have recipes tagged but it means finding one recipe and then clicking the tag, and a tab would so solve that problem. Stopping by from Share it Saturday. Yes, I pin things in multiple categories too. 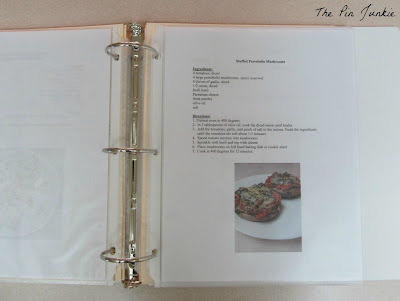 I like to print out recipes that I like because I worry that if a link is broken or a post is removed, I won't be able to get to the recipe I need. You're welcome to use the recipe index idea. I don't really see it as stealing, as many other bloggers have something similar. Thanks so much for stopping by! What a great idea! I've been saving mine to a bookmark online but I do worry about broken links. Thanks for sharing at Transformed Tuesday. I wish I was as organized as you!! :) Instead I just get frustrated when I can't seem to find that recipe I pinned forever ago!! Thanks so much for linking this up at my Show Off Your Shell Party! Thanks so much for the feature! I really appreciate it!